A few years ago an El Al flight to London was carrying a young child in need of an urgent and critical operation. Apart from the childs medical problem, there was another problem: money. The parents had barely enough to cover the cost of the flight to London, which involved the purchase of a whole row of seats to accommodate the stricken child and his medical support systems. 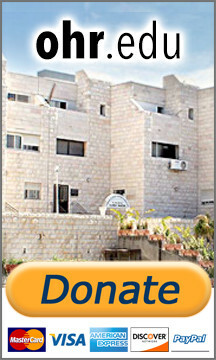 If Jews excel at anything, its tzedaka charity. "Charity," however, really doesnt translate the word tzedaka. Tzedaka means "righteousness." Unfortunately as we live in a largely selfish and unrighteous word, the word righteousness usually finds itself being used with the reflexive pronoun "self" as in "self-righteous." However, "righteousness" is no more than "rightness," doing what is right. A Jew gives tzedaka, not because its charity, not because he is charitable, but because thats whats right. The definition of what is right is what G-d wants. Thus ultimately we give tzedaka not because our hearts reach out to the plight of others but because thats what G-d wants from us. "and let them take for Me a portion, from every man whose heart motivates him, you shall take my portion." The highest level is "let them take for Me a portion" Here the giving is "for Me" because thats what G-d wants us to do. The second level is when we give tzedaka out of the kindness of our hearts because we cannot bear to see the suffering of the poor, "from every man whose heart motivates him." Noble as it is, this is not the highest level of giving. And the third level is the person who would really prefer not to give at all, but he is too embarrassed to say no. About him the verse says, "you shall take my portion." No one will ever know from which of these groups were the passengers in that first-class El Al cabin, but one thing is clear: whatever a Jews motives, he knows what is means to be a mensch.